The 2001 and later Ducati Monster (1000 i.e., 820 i.e.) 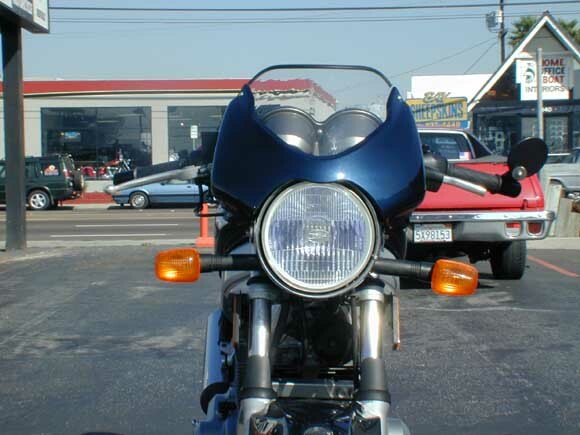 headlight fairing looks great on the GS and is easy to install. The fairing is ABS plastic (I think) and the windscreen is clear, possibly lexan. 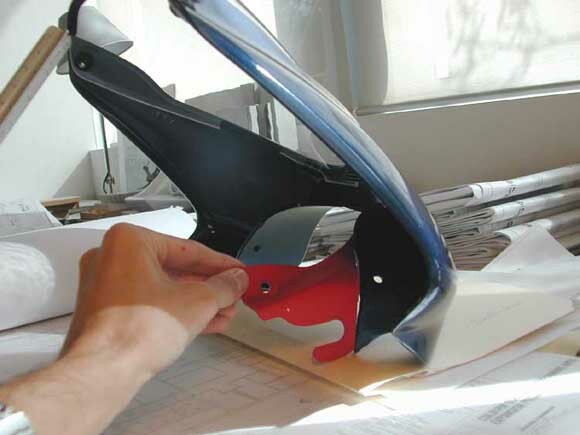 The fairing comes with an integral bracket for mounting on Monster which will be of no use to a GS owner. I took a Dremel tool and cut it off (see photo below). There is a natural line where the curved surface that rests on headlight joins with the flat surface of the bracket and I used this as a cutting guide. Then I drilled one hole on each side and fastened fairing to headlight brackets with zip ties through these holes. A better way to attach would be to make a small bracket that mounts to headlight bracket but I chose the easier method. The fairing ends up rubbing against the gauges on it's back side a bit, but out of view. A small piece of adhesive backed rubber solves that problem (I used a mounting pad from a bicycle heart rate monitor-available at bicycle shops everywhere). The screen sits slightly more vertical than on the Monster. It also has a nice rubber trim on top edge of windscreen. These fairings show up on ebay occasionally and usually sell for between $75 and $130, and they retail new for $300. It can also be purchased new as aftermarket OEM replacement at http://www.allsixgears.com/headfairormo.html for $245. The photos show it installed painted silver but I have repainted it to match the Metallic Abyss Blue stock color of my bike. 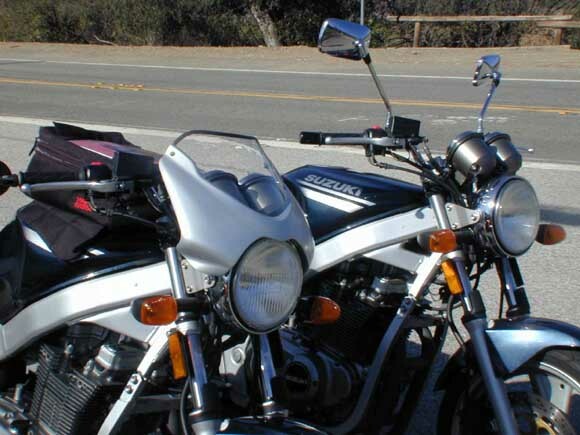 The pre 2000 farings will also fit on the GS but will mount directly to the two bolts holding the headlight on. These are also a little more narrow than the 2001+ fairings. They all fit the standard 7" headlight. 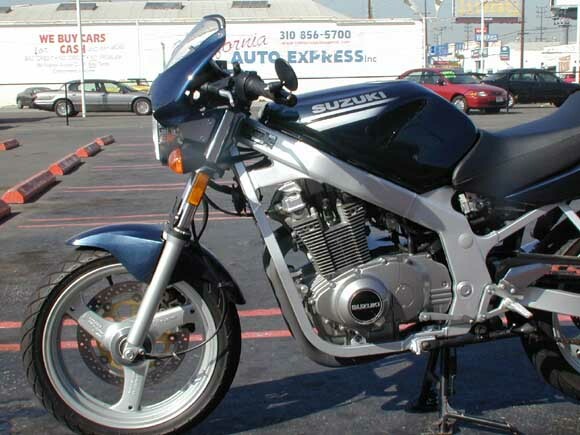 Another option is using a Buell flyscreen, either from a Blast! or from a M2 Cyclone. The Monster windscreen helps move the wind off your chest and onto you helmet at highway speeds so you don't feel so blasted. it's nothing like a windshield would do but much better than completely naked.